Balanced root chakra is the foundation of our physical and mental health. Activation of this energy center is the first stage of spiritual development. Would like to be strong, empowered and stabilized? 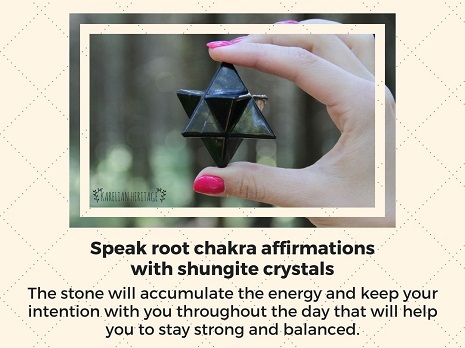 Bring miracle shungite stone into your life. Root chakra or Muladhara is your survival center locating at the base of the spine. It is the center of our body where all energy flows are initially raised. Root chakra connects you with the Earth being the source of life force, will and vitality. When it is balanced you feel safe and secure, all your basic needs are satisfied and you have a solid foundation to build life on. 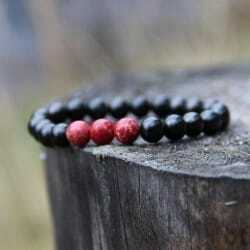 Only with unblocked root chakra you’re ready to explore all aspects of your life and the world around. Root chakra is the first stage of so-called chakras’ ladder and any practices on chakra balancing will fail if it is blocked. How to figure out that your root chakra needs healing? Since root chakra governs lower part of the body when it is out of balance you may suffer from lower back pain, sexual dysfunction, issues with legs and feet, bladder and kidneys problems. Eating disorder, weight gain or loss are among the other physical symptoms to watch for. In terms of psychology and mental health root chakra blockage leads to lack of confidence, anxiety, panic attacks and even paranoia. How many of the signs can you identify with? 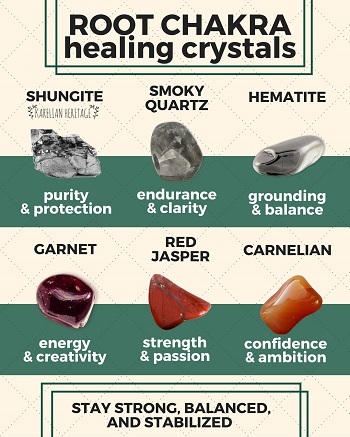 If you notice at least one of them, it’s time to heal your root chakra. As Muladhara chakra is associated with the earth element, it can be maintained with the help of asanas developing legs and feet, and stand-up asanas cultivating a sense of earthiness in your feet, legs, and pelvic floor. These asanas include Sukhasana (Easy Pose), Balasana (Child’s Pose), Trikonasana (Triangle Pose), Tadasana (Mountain Pose) and Virabhadrasana (Warrior Pose). As for meditation, it will help you to discover your true needs and aspirations. Awareness is the key to root chakra healing. When you know your basic needs, you feel more confident and are ready to go towards better life without any fears or hesitations. Affirmation is a statement that is repeated regularly to direct intentions to the universe and bring changes. The simplest and strongest affirmation for root chakra healing is “I am safe, grounded and secure”. 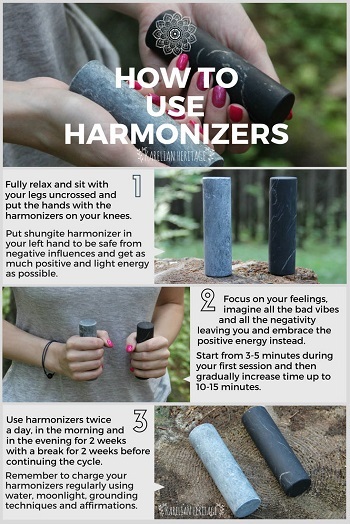 Aromatherapy is a potent tool for chakra balancing. Root chakra healing essential oils should be earthy-scented. The most efficient include sandalwood, patchouli, cypress, ylang-ylang, elemi, ginger and cedarwood. You may apply these essential oils at the base of the spine or diffuse them around the house to raise vibrations. Muladhara is connected with the Earth-element. To keep it in balance you may just go for a walk regularly observing the nature. Any physical activity promotes root chakra health and harmony. In summer you may walk barefoot on the grass or dig your hands in the earth to feel grounded and re-charged. Root chakra has a powerful grounding energy. Therefore, when it is out of balance, listening to grounding music such us the sound of thunder, singing bowls or Mongolian throat singing is extremely helpful. To charge root chakra eat more root vegetables (potato, carrot, beetroot, onion, ginger) and red fruits (strawberries, apples, pomegranate, raspberries). Make a cup of tea with root chakra cleansing herbs such us nettle, tulsi or oat straw. It will connect you with nature, keep grounded and recharge your energy field. 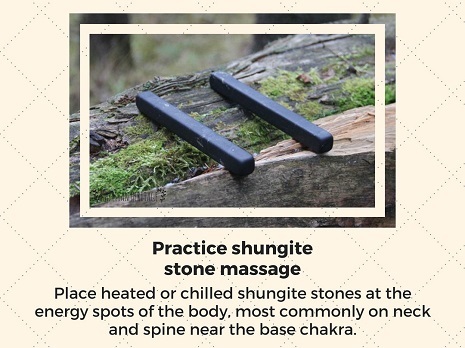 Using root chakra stones is another common way of chakra healing. 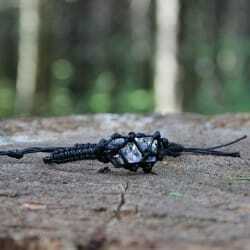 Each crystal and stone has its unique energy, vibration and frequency. 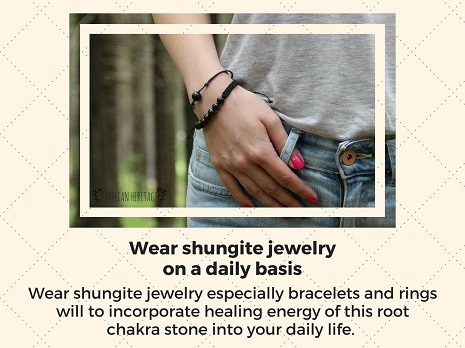 Root chakra is associated with energy of black and red stones such as hematite, smoky quartz, garnet, red jasper, red coral or shungite. 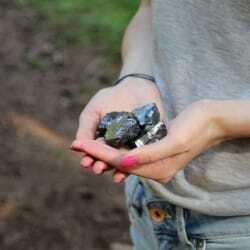 Charged healing stones may be used during meditation or just be placed as close to the affected chakra as possible. 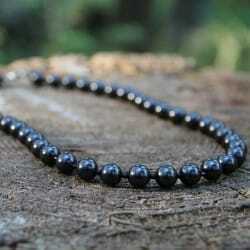 Shungite as the stone with powerful grounding energy is widely used for root chakra balancing. 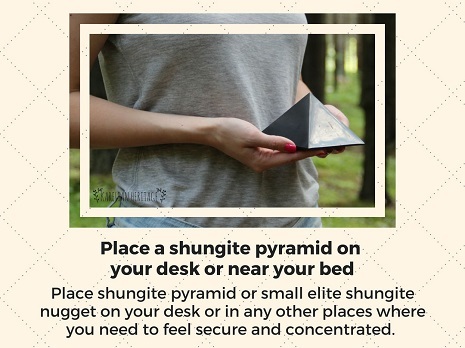 Being the stone of protection shungite shields you from all negative energy of the outer world creating favorable environment for Muladhara activation and further spiritual development. 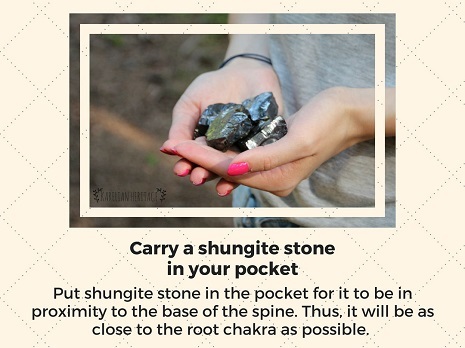 These easy steps will let you unlock the healing power of shungite for root chakra balancing. 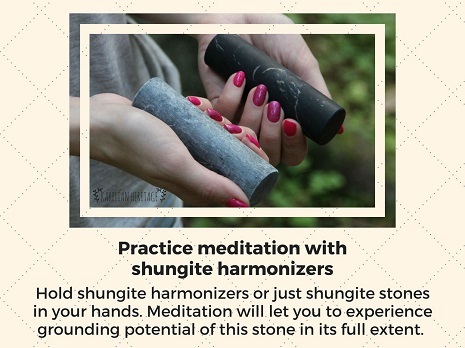 Bring shungite stone energy to your life to be balanced and empowered.